Throughout all of man’s history, the one constant form of physical structure which has accounted for 99% of all buildings on the planet is the simple family dwelling. Be it a hut, a tent, or something more extravagant, it is home. Houses, therefore, have forever been ubiquitous. Even in modern society houses greatly outnumber all other buildings. The farther one goes back in history, the more the percentage rises. Hence, the private home was then and remains now the best ministry tool of all time, and the early believers proved it. All throughout the Book of Acts is the record of private homes being used in ministry. They began by going “house to house.” The house of the upper room was most likely the home of Mary, the mother of John Mark. After his Damascus road experience, Paul was taken to the house of Judas where he met Ananias. Peter was staying at Simon the tanner’s house by the sea. Paul stayed at and ministered from Lydia’s house in Philippi. The home of Jason in Thessalonica was obviously used for ministry. Paul also lived at and ministered from the house of Titius Justus in Corinth. Church buildings are not New Testament archetypical. They can be good. They can be useful. They are possibly great on a temporary basis. But they are very costly and high maintenance. They sometimes cause more problems than they solve. And the number one reason is because they are slow. I played softball with a guy once who had to be one of the slowest guys in the whole world. He was not overweight. He was physically healthy. But I could make it to second base before he ever got to first. Once, a dim coach actually put this gentleman in front of me in the batting order. In that game, he had somehow made it safely to first base. Then I came up. I got a hit that would normally easily get me to second base and maybe third. But when I rounded first base my buddy was only halfway to second. Doh! He barely made it there. I’m standing on first when I might have made it to third. And I was not the fastest guy on the team. American Christianity has slowed considerably. Despite all the latest technology it has grown sluggish, materialistic, and weighted down. It is no wonder it is failing so badly. The Community of the Lord Jesus was built to be fleet of foot, in shape, slim and trim, on the move, and filled with energy, but also strong in its own right. American Christianity has grown in size as has the population and as a result has long since given up sprints. The problem is doubly bad in that we don’t have the strength for weight-lifting competitions either. In general spiritual terms, though traditional American Christianity has church buildings everywhere, we’re simply not getting the job done, are routinely outclassed, and often overrun. People “go to church” forever and never get to know most of the people in the congregation. On the other hand, there is a relatively new wineskin in this country on the rise. It has remained true to the gospel but has sloughed off old forms that slow and restrict. It is having a tremendous impact. 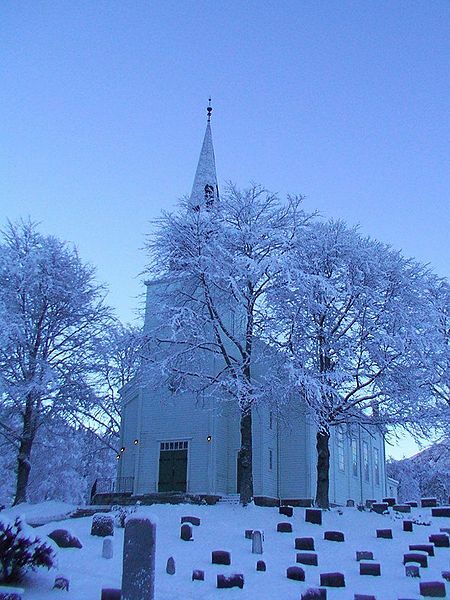 House churches and small groups have exploded in the country over the last two decades. Its proponents are quick and mobile, and do whatever possible to reach the lost and disciple the up and coming. There is no way to stop their progress. They need little or no funding. They reach places traditional Christianity rarely reaches. They touch hearts. The organic nature of a small group allows the Lord to be in charge. One cannot hide in a small group. Everybody is somebody. Through much learning and many spiritual trials, home church practitioners have developed the same ministry forms of the early centuries of Christianity. They are motivated by love. They stand on unity. They live to serve. The Lord’s original model is presently being applied in more places in the world than ever before, and is impacting the lives of millions that would otherwise never be reached. Mobility is the key. Instead of one large physical building, there are scads of many smaller buildings. Some have no buildings. By this they much more easily follow the cloud by day and the pillar of fire by night, and cover a lot of ground. And they are having miraculous Lord Jesus-caliber results. The Community of the Lord was built for speed. It began in the upper room of a house. The early Church had no time to even consider the things we in the present deem wholly indispensible. They were out to save the world. The Community was expanding by leaps and bounds. Growth was rapid from the very beginning and never slowed for three centuries. It began on its very first day in Jerusalem with a harvest of three thousand souls. Imagine that. Many churches of today work for long decades to accumulate a few hundred loyal members. Many are presently trying to keep what they have and are failing miserably. It was twenty years ago when I began receiving from the Lord the notes and revelations that would eventually become my first book. But I knew by the 1970’s, within a very short time of studying the New Testament by Holy Spirit inspiration that modern Christianity did not match up at all with the prototype. And I wondered why. I quickly got the big idea. I eventually spent thirty years in institutional churches, including my youth, gaining much experience of all that is good about church buildings and that which is not so good. There is no question that the latter outweighs the former. First of all, church buildings are simply not Biblical. The Lord never built a building nor did He ever instruct His men to do so. He was never on board with the rich, connected Sadducees who controlled the Jerusalem Temple. Though He often preached in synagogues when welcome, He spent the majority of His ministry time out in the open, in the woods, along the Sea, and on the beaten paths. He was always moving. Always. The Lord Jesus was mobile. The tabernacle in the wilderness was mobile. It was a tent. It was set up, used, taken down, loaded up, transported to a new site, and set up again. The Lord taught His men to be mobile. He taught them to give up all their possessions, in part so that they would have nothing tying them down when it came time to move on. The apostle Paul was also constantly on the move. There were occasions when he stayed local to teach and establish a work and then he was off yet again. The traveling man was so mobile that the Lord blessed him with a perfect location to end his life on earth—on the side of a road outside Rome. The Lord had no place to lay His head. He occasionally stayed with others but He mostly slept under the stars. He was on a mission. He had work to do. He could not afford to be slowed down. It is as obvious as it can be that the early believers followed His example. They were as mobile as He was, and a perfect representation in spiritual terms of the tabernacle of Moses, which was a type of mobile ministry centered on human beings. Conversely, our ministries are most often centered on church buildings. We are often bound by church buildings. We can’t get them out of our heads. We cannot imagine life without them (“How can I go to church if there’s not a church?”). For the most part, Christians feel absolutely naked without the comfort, security, and anchor of a building. Yet, the majority of Christians throughout history never had buildings. The majority of real Christians on the planet today do not have buildings. But they have the Lord. They are dedicated. They are productive. And they are fast. They can break camp quickly and move to new locations, so to speak. Some of the travel real Christians do is in the Spirit. It is not always geographic. We live, we learn, we gain revelation and greater knowledge, we mature, and then we have to leave old forms, understandings, and perspectives and create new ones based on such. Core Biblical truths are thus granted greater freedom and opportunity to produce much fruit. Isn’t this our goal? Static forms always slow. They restrict. We end up trying to force our ministries within such structures. But are we really having an impact on society? How can we when we force others to come to us instead of us going to them?